The APS Image Database package offers subscription access to peer-reviewed disease and pest images for use in extension labs, teaching, outreach, disease scouting, quarantine stations, and more. May be used in PowerPoint presentations, extension fact sheets, and course materials. Individual subscriptions are available giving users similar usage rights as described above. Additional uses prohibited without upgrade license, or commercial use rights fee (please inquire). 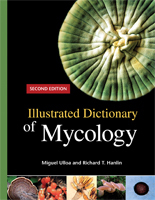 The American Phytopathological Society processes thousands of scientifically peer-reviewed images showing disease symptoms, pests, and other disorders associated with plants and crops through its book- and journal-publishing programs. APS images are useful for teaching, training, and diagnostics. Over the years, APS images have been made available via APS PRESS slide sets, videodisc technology, image CDs, and now through the online APS Image Database. Most images in the APS Image Database are tagged with descriptive metadata, including pathogen and host scientific binomials and common names, all featured in a robust search engine. The images include captions when available, along with contributor/photographer names and citations that are also searchable. The APS Image Database is curated by the APS PRESS Editorial Board and is expected to build into tens of thousands of disease, pest, and disorder images online. 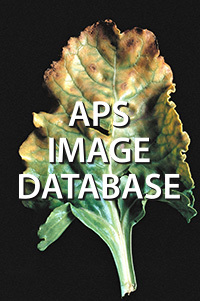 The APS Image Database includes nearly 7,000 images from APS PRESS books including peer-reviewed images in the Compendium of Plant Disease Series, covering diseases, pests, and disorders. A paid subscription to the APS Image Database grants a subscription license to an individual person (i.e., subscriber). In general, this license governs the subscriber’s use of the images and the descriptive fact sheets downloaded from the APS Image Database. The subscriber may use the images and fact sheets for his/her own personal, noncommercial projects; for diagnostic assistance and research purposes; and for work that is educational in nature as described below. Images for this database are peer-reviewed and donated by volunteer APS members and authors who must be acknowledged when their images appear in future works. Subscribers must agree that approved use of any of the images or fact sheets be accompanied by proper citation of the original source of the material, as noted by the “Required Credit Line” on each fact sheet. Work that is educational in nature includes instructors using the material to enrich their own courses. This use can be in print (e.g., handouts for classroom distribution) or via PowerPoint (or similar classroom presentation software). PowerPoints: There is no limit to the number of images educators may use in their PowerPoint presentations. Creators of the PowerPoints must be subscribers. Posting Images for Specific Courses on Protected Internal Network (LAN): You may post images and the information from the fact sheets digitally on a protected Local Area Network (LAN) if the information viewed is limited to registered students in a specific course. 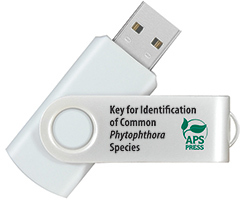 Posting Images to the Internet is Prohibited: No images or information from the fact sheets may be posted on the Internet or other external network for any purpose, unless written permission has been obtained from The American Phytopathological Society (APS). PowerPoints: There is no limit to the number of images extension specialists may use in their PowerPoint presentations. Creators of the PowerPoints must be subscribers. Extension Program Fact Sheets and Bulletins for Noncommercial Use: To qualify for subscriber use, the fact sheet or bulletin must be fewer than 10 pages long and free to the public. No more than 20 APS images may be reproduced in the extension fact sheet or bulletin. The subscriber must be the author or coauthor of the extension fact sheet or bulletin. Use for any other type extension publication requires written permission from APS. Use of the images and the facts sheets by persons other than the subscriber, by an institution, or by the subscriber in a commercial work also requires obtaining written permission from APS and payment of any associated fees. Commercial work is any material that is published across various media (e.g., in journal and newsletter articles, in books, and on public websites), whether by a commercial or a nonprofit publisher. Permission to use the images and information from the fact sheets in a commercial work must be requested by following the guidelines on the APS Image Database Request Permission page. The license prohibits the subscriber from copying, sharing, or distributing the material, in whole or in part, to other individuals for their use. Examples include providing an image to another individual to use in his/her classroom course material or to use for his/her research. Such use requires that the individual purchase a subscription to the APS Image Database. Material from the APS Image Database must be used in accordance with current United States and international copyright law, except as specifically stated by APS. Questions about whether a particular use is covered by the subscription license can be directed here.